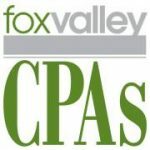 Fox Valley CPAs, LLC provides onsite and cloud-based accounting solutions for small businesses and offers tax planning and preparation services. They also offer bookkeeping services, payroll processing, financial planning, and more. Work For Fox Valley CPAs, LLC? Claim This Page.